Coaches dedicate a lot of time into creating practice plans and game strategy. They look to get the most out of their players in a limited amount of ice time. Drills and exercises should have a purpose, ultimately tying into how they want their team to play. 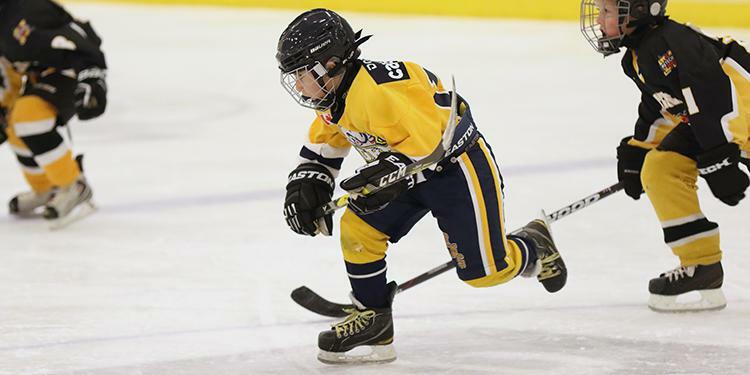 This is the best way to teach concepts like constant movement and puck support. Stimson is the author of Tape to Space: Redefining Modern Hockey Tactics and a Buffalo Sabres contributor at the Athletic Buffalo. He has written extensively on hockey analytics since 2013 and has contributed on analytics and published new research at Hockey Graphs and on using data to better evaluate hockey systems at The Coaches Site. He has consulted for RIT Men’s Hockey Team since 2015 and coached his first Bantam team in 2017-2018. Save 15% at The Coaches Site! 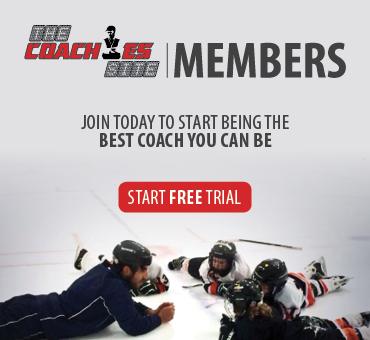 Members of The Coaches Site have access to over 70 hours of educational video including presentations from more than 30 NHL coaches. Save 15% on an annual membership by entering promo code: OMHACOACH Plus your first month is free! Don't miss out on being connected with the top coaches in the game today. The concept of Stimson's book is a revitalized approach in understanding the effective ways to play hockey. It details how to build a style of play around the skillsets of your players in order to maximize team efficiency. By examining the patterns of players, coaches can see that it’s not about a rigid system but rather how the team moves together in supporting one another. Coaches can use data they find on skills that not only develop players but make them comfortable in trying new things. Emphasizing ‘tape to space’ as opposed to ‘tape to tape’ keeps playing moving and less stagnant.